Chase is coming after American Express' Platinum Card business, and that's potentially good news if you're a homebuyer with a Chase Sapphire card. The reason is that Chase Mortgage is offering 100,000 Chase Ultimate Rewards points for existing Sapphire customers who purchase a mortgage with Chase. The exclusive offer, and the first of its kind for Chase, is now available to eligible Sapphire customers through August 6. Chase has been positioning the Sapphire card to appeal to affluent millennials who may find the Platinum Card a bit, well, stuffy. So, the thinking goes, what better way to cement a relationship with the millennial crowd than to give them a huge bonus when they're buying their first house. “We want to show the true benefit of being a Chase customer throughout the many stages of life, whether it’s opening your first credit card or buying your first home,” said Amy Bonitatibus, Chief Marketing Officer for Chase Mortgage. "We designed this exclusive mortgage offer for our Chase Sapphire customers to reach a new wave of homebuyers." That "new wave," of course, is code for millennials, who have been making up a growing part of Chase's customer base. Customers under the age of 35 made up 36 percent of Chase’s mortgage originations volume in 2016, up from 20 percent in 2015. 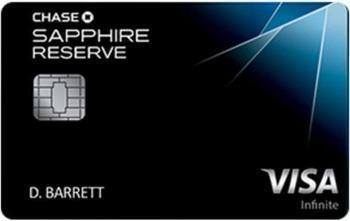 All Chase Sapphire cardmembers, as of May 7, 2017, are eligible for the offer, including Sapphire, Sapphire Preferred and Sapphire Reserve. So how much can you buy with those 100,000 points? It's not really possible to say because it depends on which card you have and, of course, what you decide to buy with the points. Travel and dining generally have higher redemption values. Chase notes that the offer applies to mortgage purchases, not refinances or home equity lines of credit, and not to new cardholders. More information on the offer is available at www.chase.com/MortgageUltimateRewards. For more information on mortgages, visit the ConsumerAffairs Mortgage Buyers Guide.